Vintage Quart Embossed Blue Ball Perfect Mason Jars that are in excellent condition with no chips or cracks. All comes with the zinc lids. Lids has some very minor patine that gives it a nice character. 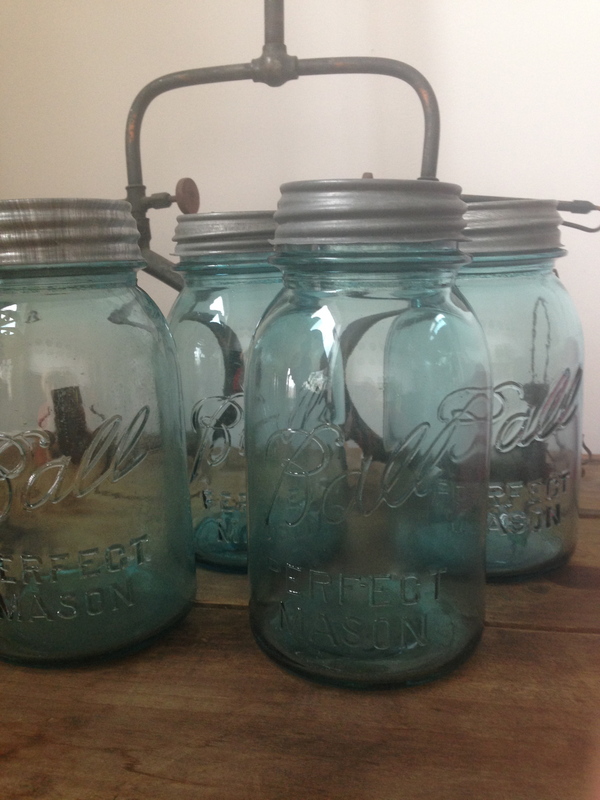 I have tons of beautiful blue antique mason jars, let me know if you would like more. These are amazing for holding flowers and look great in any setting. They are quart size vintage blue glass. These make wonderful canisters, vases, or extra large drinking glasses! They’re authentic old pieces out of a Pennsylvania farm estate, heavy glass with the color all the way through – not reproductions with a colored finish on clear glass.